Preidlhof awards - South Tyrol's best spa hotel. Read reviews here. In 2019, Preidlhof was picked the TripAdvisor Traveller's Choice from the Top 25 Hotels for Romance - Italy. Every year, the Landsberg publishing house recognized the best spa hotels in the German-speaking world by awarding the Wellness Aphrodite. In 2018 Preidlhof is winner of the category of Beauty & Treatments and ranks among the most prestigious spa hotels in German-speaking Europe. 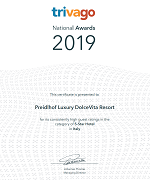 Also in 2019 the Preidlhof is one of the best 5 star hotels in Italy and has been awarded with the Trivago Award second place. Preidlhof is particularly proud to have won the Wellness Heaven Award 2019 as the winner of the category “wellness & spa”. Preidlhof has been voted the best five-star luxury hotel in Italy and, in appreciation of its achievements, received the 2018 trivago Award. 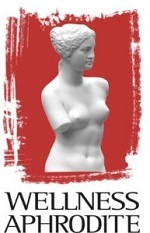 For the first time this year, the Landsberg publishing house has awarded the Aktiv Hotel Award. Preidlhof is the proud winner of the Aktiv Hotel Award 2018 in the category of Alpine Sports, making it one of the best activity hotels in the German-speaking world. Preidlhof has been presented with the TripAdvisor Certificate of Excellence 2018 - every year since 2011. Having received the distinction for the eighth time this year, the luxury spa hotel is now a part of the prestigious TripAdvisor Hall of Fame. Preidlhof has been able to scoop the most prestigious distinction for spas in Europe, the European HEALTH & SPA AWARD. In 2018, Preidlhof received the award in the category of Best Spa Innovation for it's unique Sleep Suite. Every year, the Landsberg publishing house recognized the best spa hotels in the German-speaking world by awarding the Wellness Aphrodite. Nominated in the category of Logis in 2017, Preidlhof ranks among the most prestigious spa hotels in German-speaking Europe. Preidlhof has been presented with the TripAdvisor Certificate of Excellence 2017. In 2017, Preidlhof was picked the TripAdvisor Traveller's Choice from the Top 25 Romantic Hotels, Italy. In 2017, the German Wellness Association again lauded Preidlhof for its services and presented it with the Premium certificate, the best distinction attainable. Preidlhof has been presented with the TripAdvisor Certificate of Excellence in 2016. Preidlhof won the HolidayCheck Award in 2016. In 2016 Preidlhof has been able to scoop the most prestigious distinction for spas in Europe, the European HEALTH & SPA AWARD, our hotel spa was distinguished as the Best Hotel Spa in Italy and Best Destination Spa in Europe. For our Deepsea Room we also received the distinction of Second-Best Spa Innovation. Spa Manager Claudia was nominated Best Spa Manager. With this, Preidlhof once again ranks as the best spa hotel in Italy and the second best hotel spa in Europe. The French restaurant guide Gault Millau awarded our restaurant with two toques and 15 points both again in in 2016. Carrying two toques, our excellent gourmet cuisine is, in fact, among the best in South Tyrol. Every year, the Landsberg publishing house recognized the best spa hotels in the German-speaking world by awarding the Wellness Aphrodite. Nominated in the category of Spa Design in 2015, Preidlhof ranks among the most prestigious spa hotels in German-speaking Europe. Preidlhof has been presented with the TripAdvisor Certificate of Excellence in 2015. In 2015, Preidlhof received the the European HEALTH & SPA AWARD in the category of Hotel Spa. The French restaurant guide Gault Millau awarded our restaurant with two toques and 15 points both in 2015. Every year, the Landsberg publishing house recognized the best spa hotels in the German-speaking world by awarding the Wellness Aphrodite. Nominated in the category of Spa Design in 2014, Preidlhof ranks among the most prestigious spa hotels in German-speaking Europe. Preidlhof has been presented with the TripAdvisor Certificate of Excellence in 2014. In 2014, Preidlhof was picked the TripAdvisor Traveller's Choice from the Top 25 Romantic Hotels, Italy. In November 2014, the German Wellness Association honoured Preidlhof as the only spa hotel in Italy. For its outstanding spa facilities, the luxury resort was awarded the best grade possible. Preidlhof has been presented with the TripAdvisor Certificate of Excellence in 2013. Preidlhof won the HolidayCheck Award 2013. Preidlhof has been presented with the TripAdvisor Certificate of Excellence in 2012. Preidlhof won the HolidayCheck Award 2012. Preidlhof has been presented with the TripAdvisor Certificate of Excellence in 2011. Preidlhof won the HolidayCheck Award 2011. Every year the association "Freizeitverlag Landsberg" awards the best spa hotels in German-speeking Europe. In 2010 Preidlhof has been nominated in the category beauty & spa and is part of the 4 best spa hotels in German-speeking Europe. The certification was renewed in August 2008. 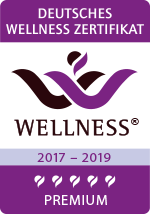 Ever since, the Alpine Wellness auditors have regularly inspected the quality of our facilities and service based on over 90 criteria. The transnational association of the best spa hotels in the Alps, Alpine Wellness, reviewed and certified Preidlhof as one of the first spa hotels south of the Alps in November 2004. Preidlhof also meets the strict Belvita quality criteria. Belvita vouches for finest spa experiences and top service. Continuous quality inspection carried out by anonymous and independent inspectors guarantees that all Belvita members meet and uphold the highest quality standards.